Field Artillery Officers lead Marines in tactics, gunnery, gun-line drills, communications, maintenance, transportation and logistics. They provide close-fire support for infantry, armored reconnaissance and tank units. Their first assignment is to a firing battery within an artillery battalion, while future roles include fire support officer, fire direction officer, platoon leader and battery executive officer. 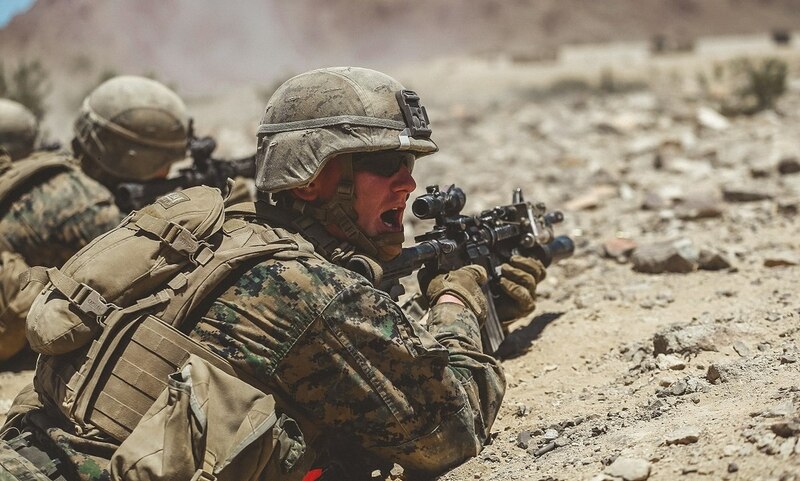 Infantry Officers are central to the role of the Marine Corps as an expeditionary force. They are responsible for training their Marines for every variety of ground combat mission in any environment. They gather and evaluate intelligence on enemy forces, develop offensive and defensive battle plans and command their infantry unit’s use of weapons and equipment. The Tank Officer brings firepower to the battlefield, commanding Marines in M1A1 tanks and providing recommendations for the tactical employment of tank units to unit commanders. Typically, the Tank Officer spends the first 14 months as a tank platoon commander and is stationed at either of the two active duty tank battalions, ready for deployment. AAV officers command, or assist in commanding, assault amphibian (AA) units, provide recommendations to the supported unit commander for the tactical employment of AA units. AAV officers also direct AA units on maneuvers, tactical problems, and in combat. To learn more about becoming a Marine Corps Officer, click here.